Never say never, in certain occasions your track car could turn out also into an hunting machine. 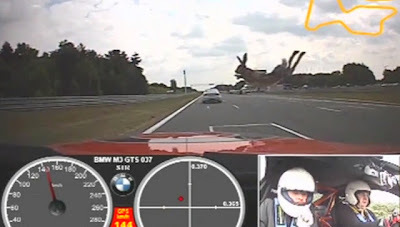 During a trackday event, the onboard camera of this BMW M3 GT3 caught the exact moment of a rabbit trying to cross the track but it gets scared and jumps into the windshield of the Bimmer at 140kph. Ouch.